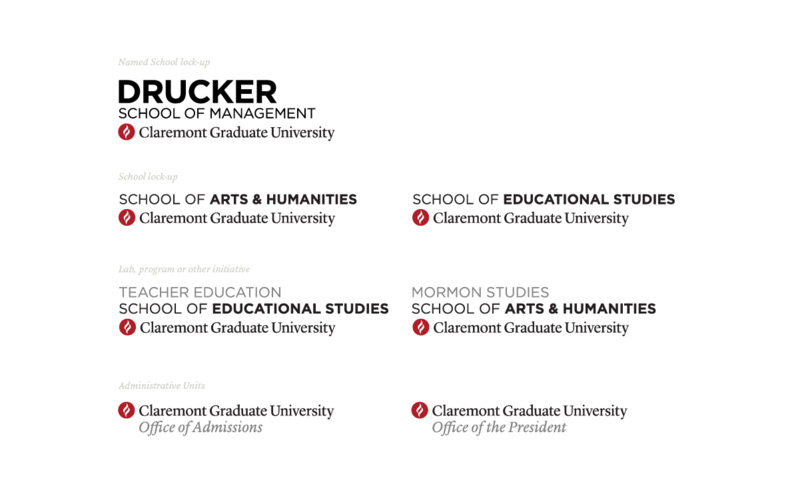 We unified Claremont Graduate University’s visual and digital presence to reveal a solidified, relevant identity. 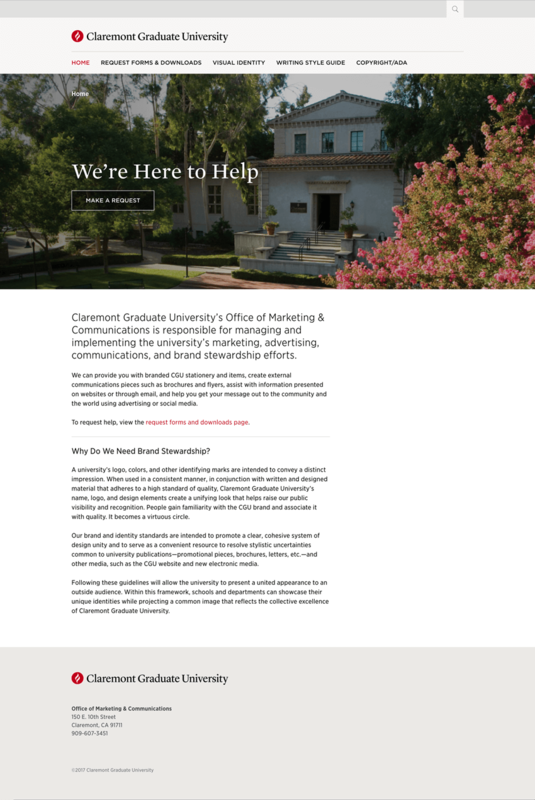 Claremont Graduate University is an integral part of the prestigious Claremont Colleges, a collection of liberal arts colleges in an idyllic corner of Southern California, 30 miles east of Los Angeles. 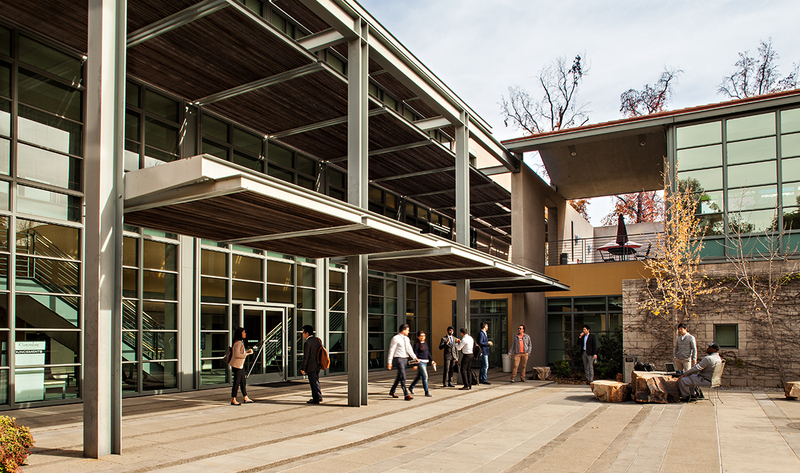 Founded in 1925, CGU boasts globally renowned scholars and a unique, multi-disciplinary approach to graduate studies. We helped CGU identify and embody these brand pillars and reinvent its fragmented and sprawling online experience, in the process transforming the website management process for staff. We saw the opportunity to unite the different constituting schools, each with disparate and varied identities, under a masterbrand that would convey the university’s offer and raise the profile of the university overall. 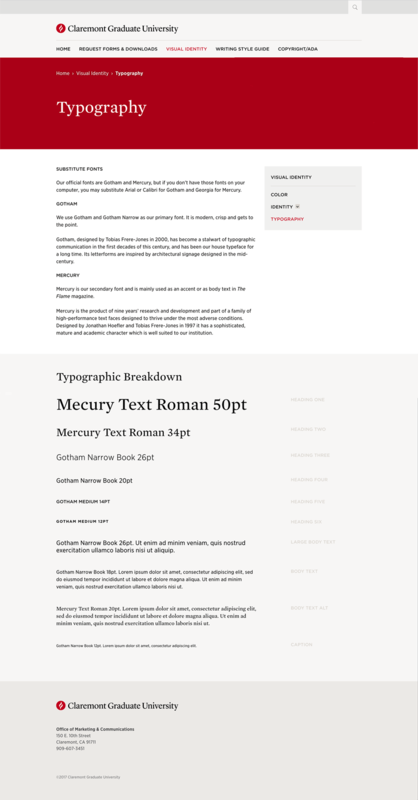 At the same time, their visual assets (logo, color palette, typography) could be updated to work effectively on a new and refreshed website. Over the years, CGU’s adapted many iterations of a university seal that all incorporated traditional academic symbols of lamps and flames, signifying passion in the pursuit of knowledge. CGU’s motto, Multa Lumnia Una Lux (“Many lamps, one Light”), represents the diverse backgrounds yet unified passion of its students. Inspired by these allegories, we sought out to coalesce the university’s presence around its shared principles. Through stakeholder interviews across the organization, we refined a brand platform to inform the creation of the visual identity. 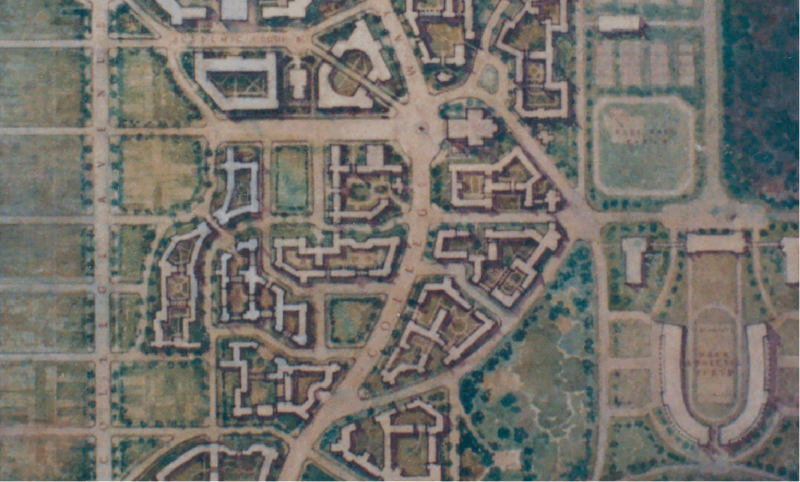 This captured the spirit and heritage of the university and the outlook of the staff and students. Through a visual audit of the university’s current identity and iterations through its history, we identified the seal of the university as a key visual asset, and the flame its logical shorthand. The need to convey program interdisciplinarity in a way that would not impact negatively on the online experience informed our approach to content strategy. Through a full content audit, followed by sorting and categorizing of the site’s content, we created information architecture rules which supported the CGU team’s efforts to streamline and redraft the site. We created user journey maps to envision how prospective or current students would navigate through the website and anticipate their needs through the reorganized content. 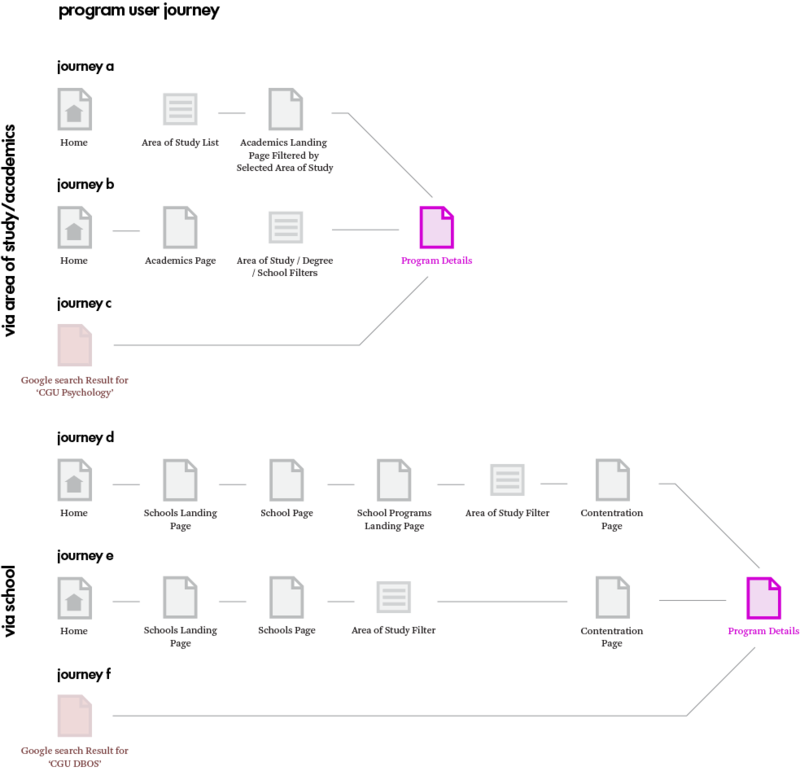 In the development phase, we adapted the back-end structure and controls to work with organizational behaviors, which ensures a consistent front-end user experience. The flame symbol was a unique and ownable asset which we simplified into an icon suitable for digital uses. Paired with the flame, we minimized the typographic elements to create a simplified wordmark to serve as a foundation for the university’s many schools, programs, and offices. 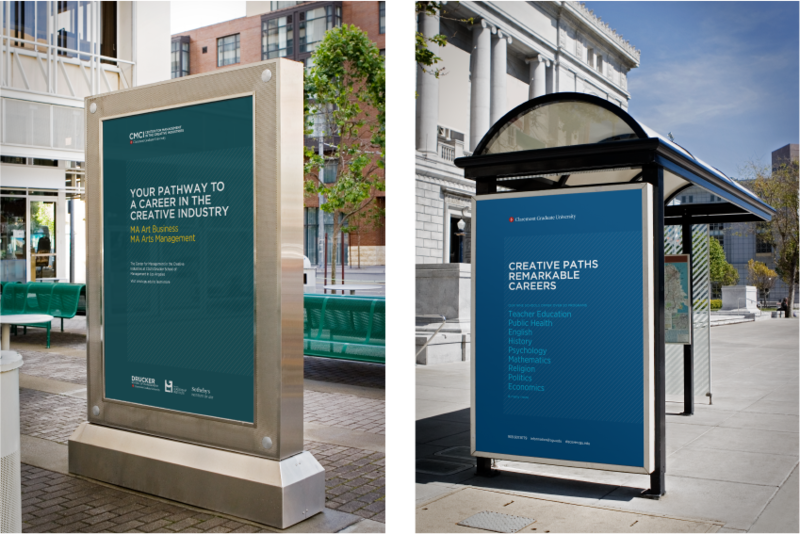 We added flexible straplines ‘Founded 1925’ and ‘A Member of the Claremont Colleges’ to strengthen the brand positioning. 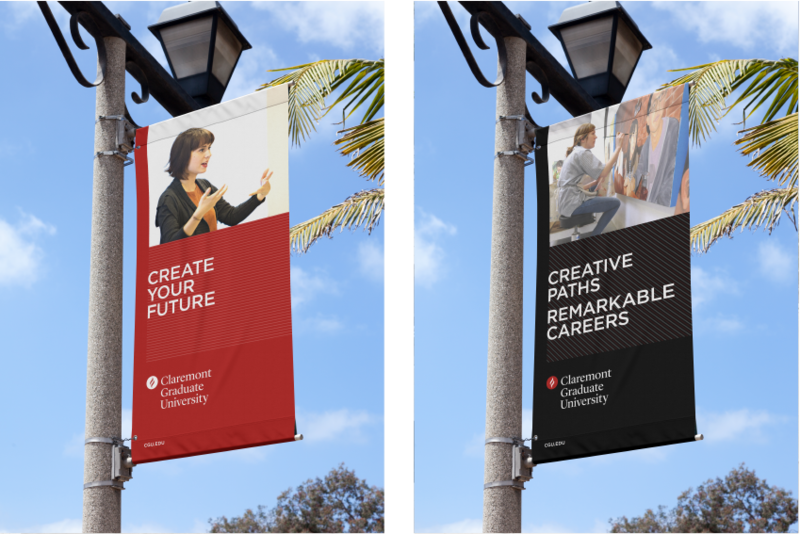 A refreshed visual identity brought CGU’s personality, values, and heritage to light. Building upon our research into the university’s brand architecture, we strengthened the hierarchy of elements and came up with visual treatments that illuminate each tier. Recognizing a breadth of touchpoints – from formal administrative communications to student event materials – we devised an implementation spectrum for the identity system that could just as easily portray subdued, institutional gravitas as it could an energetic, bold style. The website now has a clear logic, consistent user experience, and is easy and efficient to update for university staff through a streamlined process and customized backend user interface. Upon launch of the new site, information requests increased by 10% in the first week alone. 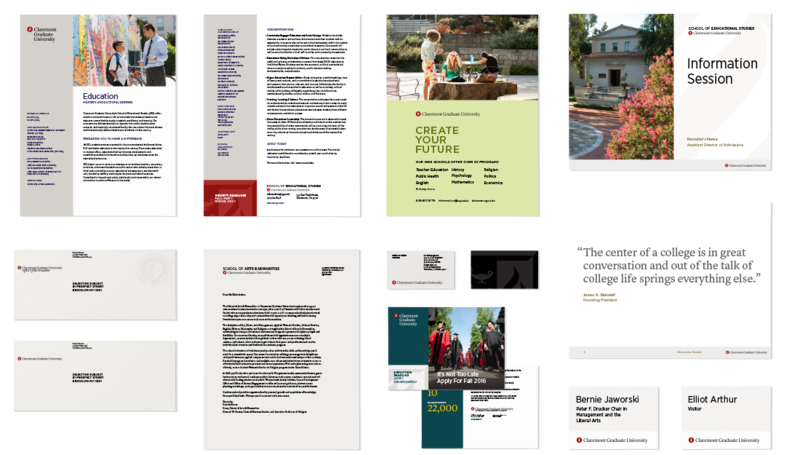 To ensure consistent implementation of the new visual system across the university, we adapted the brand guidelines into a living document online. 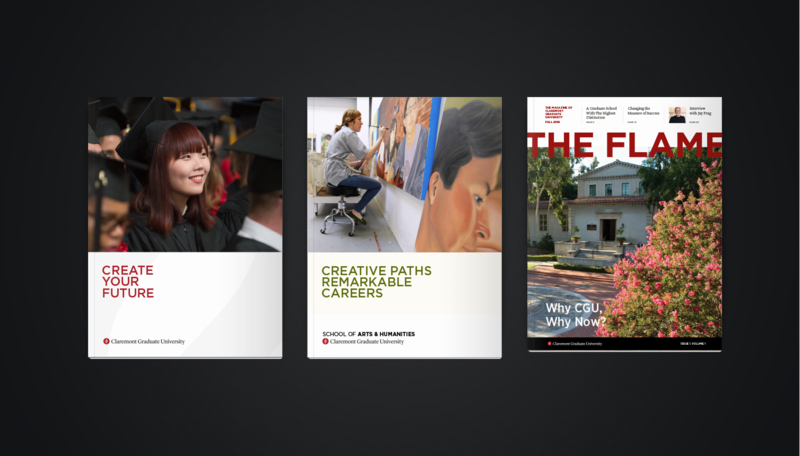 The central resource allows for ongoing stewardship of the brand and is accessible to all university stakeholders to address their marketing, advertising, and communications needs. In partnership with TransitCenter, we created a compelling guide to help city leaders enact policies and practices that allow for successful transit investments.